Short on time? 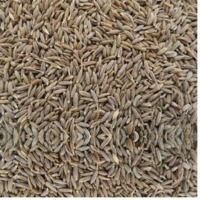 Let cumin-seeds sellers contact you. 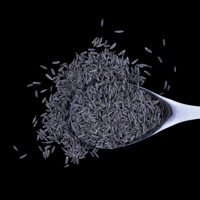 Black cumin seeds, also known as 'the blessed seeds' were discovered in Egyptian Pharaoh Tutankhamen's tomb. 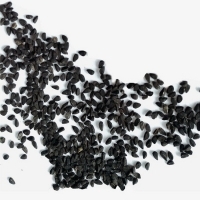 Though mentioned in scriptures, black cumin seeds weren't researched till about 40 years ago. 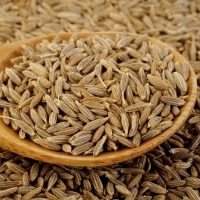 When more was read about these seeds, it was discovered that ancient Greeks used the seeds for toothaches and headaches. 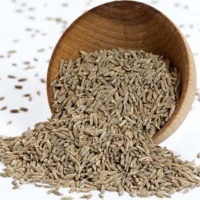 These seeds are quite underrated in the market, but they're one of the best natural remedies for auto-immune diseases. They are also outstandingly useful in helping with asthma and allergies. 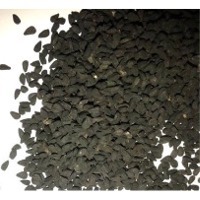 Black Cumin Seeds Uses The seeds of Nigella Sativa are used as a spice in Indian and Eastern cuisines. The black seeds taste like a combination of onions, black pepper and oregano. They have a pungent bitter taste and smell. 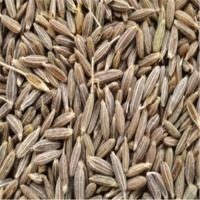 The dry-roasted Nigella seeds flavour curries, vegetables and pulses. It can be used as a "pepper" in recipes with pod fruit, vegetables, salads and poultry. 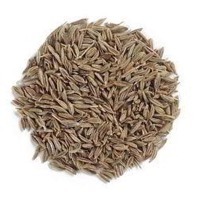 It is used as part of the spice mixture Panch Phoron (meaning a mixture of five spices) and by itself in many recipes in Bengali cuisine and most recognizably in naan bread. Nigella is also used in Armenian string cheese, a braided string cheese called majdouleh or majdouli in the Middle East. Substances that are used for the production of different types of goods are named as raw materials. We source these materials only from the trustworthy vendors after complete checking. Our company guarantees to make delivery of bulk as well as retail orders of the product within the mutually decided timeframe. 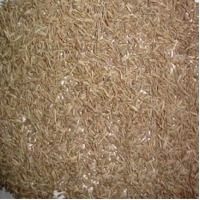 Cumin Serve Our Customer As High Quality And Best Price. Color Is Natural And Clean. Purity And Packing Upon Customer Request. Packing 1x 20 FCL/ 18 MT ( 25 KG/BAG). The Product Origin Is: India. 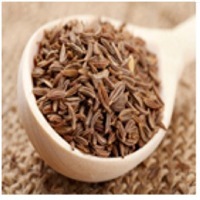 Cumin Seeds: Product Description: Cumin is the dried, white fruit with a greyish brown color of a small slender annual herb. The surface of the fruit has 5 primary ridges, alternatively has 4 less distinct secondary ridges bearing numerous short hairs. The plant is 15 to 50 cm high. The aromatic seed-like fruit is elongated, ovoid, 3 to 6 mm long, slightly bitter and has a warm flavor. The flowers are white or rose-colored in small umbels. 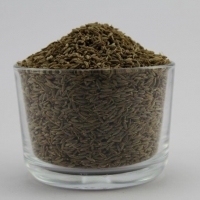 Product Specifications: Cultivation Type : Semi Organic Type : Spices Seeds Moisture (%) : 10% Seed Style : Seed Brown dark/light Admixture (%) : 1.75% Purity : 95% Drying Process : Machine Imperfect Ratio (%) : 2% Product Type : Spices Ash % : 9.5% Shelf Life : 2 Years Grade : A,AB Color : Brown Dark/ Light Weight : 1 Kilograms (kg) Variety : Cumin Trade Information: Supply Ability : 30000 Per Week Sample Available : Yes Sample Policy : Free samples available with shipping and taxes paid by the buyer Delivery Time : 15 Days Certifications : IEC, SPICE BOARD FOB Port : Kochi Payment Terms : Paypal, Western Union, Telegraphic Transfer (T/T), Letter of Credit at Sight (Sight L/C), Letter of Credit (L/C), Cash Advance (CA) Packaging Details : 25 - 50 KG PP/Jute Bags Medical / Health Benefits: - Cumin seeds contain many phytochemicals that are known to have antioxidant, carminative and anti-flatulent properties. 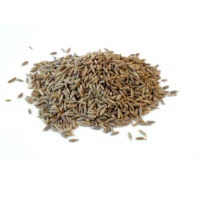 The seeds are an excellent source of dietary fiber. 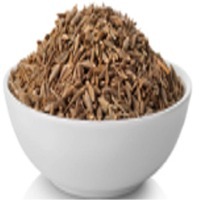 - The active principles in the cumin may improve gut motility and help in digestion by augmenting gastrointestinal juice (enzyme) secretions. - The spice is an excellent source of minerals like iron, copper, calcium, potassium, manganese, selenium, zinc and magnesium. Copper required in the production of red blood cells. Iron is essential for red blood cell formation. Zinc is a co-factor in many enzymes that regulate growth and development, digestion and nucleic acid synthesis. Potassium is an important component of cell and body fluids that helps controlling heart rate and blood pressure. The human body uses manganese as a cofactor for the important antioxidant enzyme, superoxide dismutase. 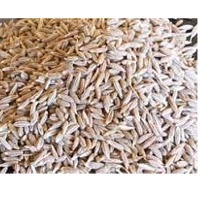 - It also contains very good amounts of B-complex vitamins such as thiamin, vitamin B-6, niacin, riboflavin, and other vital anti-oxidant vitamins like vitamin E, vitamin A, and vitamin C.
West India Exports Pvt. 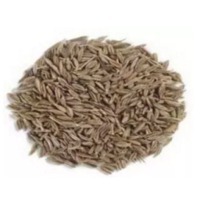 Ltd.
Cumin Seeds Cumin Seeds (Whole & Ground) We offer our clients premium quality Cumin Seeds, which are definite to enhance the taste of any food item. 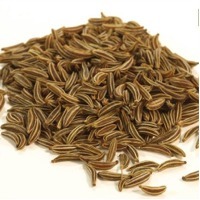 These cumin seeds add distinct flavour to chutneys, mix spices and curries. 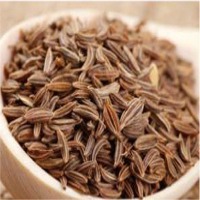 Our whole cumin seeds are procured from the reliable vendors and are quality certified. 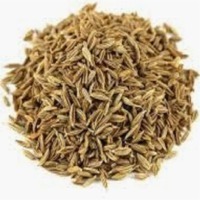 Cumin Seeds (Cuminum Cyminum) Cumin is the dried seed of the herb Cuminum cyminum, a member of the parsley, family.Cumin seeds are used as a spice for their distinctive flavour and aroma and is, also well known for its medicinal properties in India and many other Asian countries., It is globally popular and an essential flavouring used in many cuisines, particularly, South Asian, Northern African and Latin American cuisines. 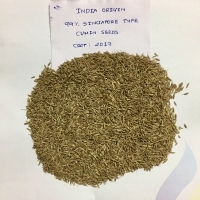 Cumin seeds are also a, rich source of iron, a vital nutrient that helps in keeping the immune system healthy, and strong., Cumin is mainly grown in India, Egypt, Syria, Turkey, China and parts of America., Gujarat and Rajasthan are the major producing centres for cumin in India, further, there is significant contribution for the same by West Bengal, Uttar Pradesh, Andhra, Pradesh and Punjab. Type, Purity, Flavour, Moisture. Singapore Quality 98% & 99%, Aromatic with a Penetrating Flavour, 9% Max Europe Quality 99% Look forward hearing from you soon.